I have now used the pram for 22 weeks and have written another review on why I would not buy this pram again and why I wish I had not bought it in the first place! Read it here. When we first started looking at buying our first born a pram we really had no idea what to choose. 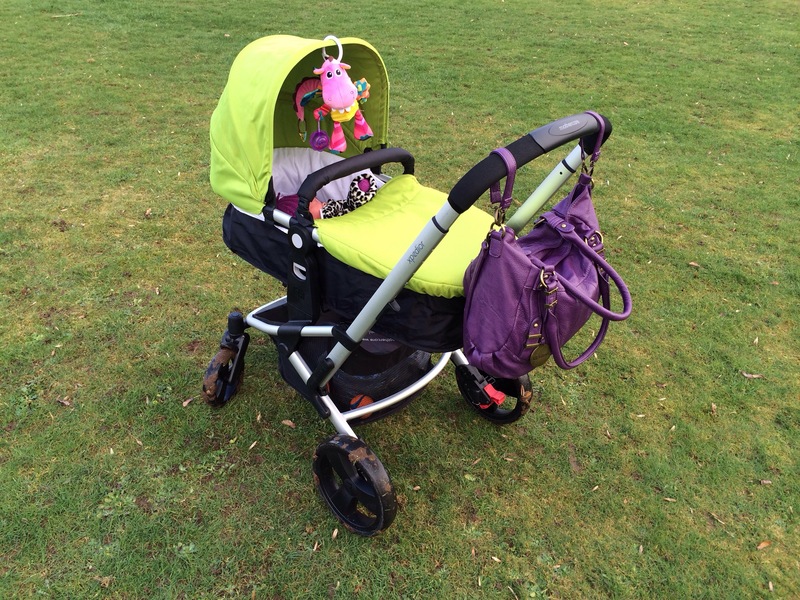 I looked at so many prams but when I saw the Mothercare Xpedior I fell in love with the apple colour - it was suitable for both sexes, nice and bright, and, most importantly for us, it was affordable! In the package you get a cot base that converts into a seat as your baby grows. It also has a car seat. The colour pack (with a choice of five colours) includes an adjustable hood, cosytoe, chest pads, pram liner and apron and Mothercare weathershield. We bought this when it was full price - £250 for the pram, car seat and colour pack. It also came with a weather shield so pretty much everything you need in a pram. 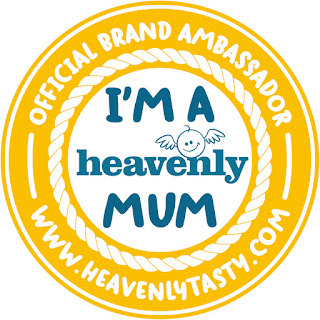 We then found it was on sale and so, as we needed to cancel our babyplan order (worried it might not be delivered on time due to reduced Christmas deliveries) we got the package for £220 - you can barely get a pram for that cost let alone a 3-in-1 system. We have now been out a few times with the baby and so far I would say I am, generally, impressed with the pram. Changing from the lie-flat pram to the car seat is a doddle. 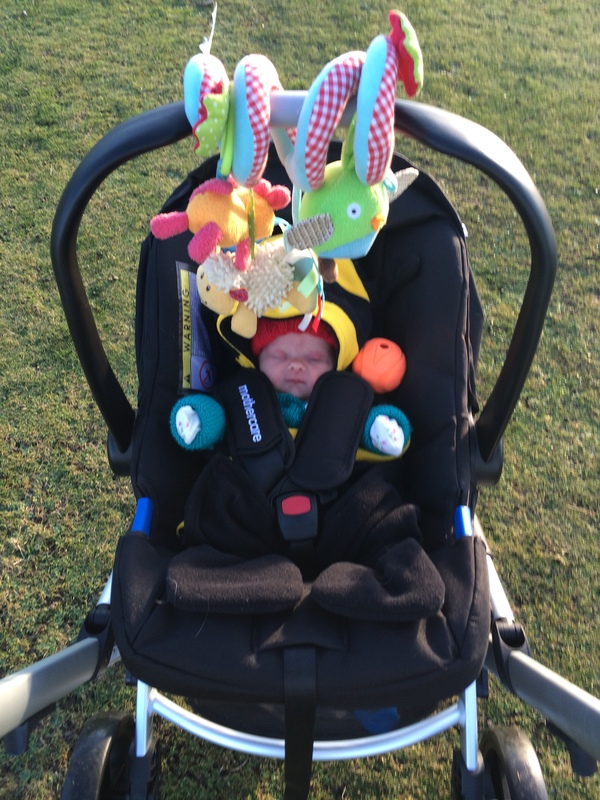 There is the option to have the baby parent facing or forward facing, giving you the option to change the child's experience when out walking. The car seat we found to be quite heavy when carrying it any distance - much heavier than we found the maxi-cosi one that we have. When we took the baby home from the hospital it was a fair distance to walk from the ward to the car park and we had to stop a few times from arm ache (and I had a c-section so needed a rest too). The lie-flat cot seems very roomy, although how long it will stay that way I am not sure as our wee toot is only 7lbs. The wheels are solid and so every bump in our country's pot-holed roads are felt and, on occasion, have caused the baby to wake and cry. There is the option to lock the front wheels when going across bumpy terrain but when we tested that out on the local nature train I can't say that I noticed much difference to the overall ride. It is a pity that there was no option to have inflatable wheels at the time we purchased the pram as we would have chosen them. There is now a three wheel option that has inflatable wheels but at the time we did not know this was going to be released as we probably would have gone for that option. We have had many opportunities to use the weathershield (we live in Scotland so it goes without saying really) and it is easy to put on and take off so no complains there. We have a MINI and you can fit the chassis of this pram in the boot if you take off one wheel - something we were very pleased about as it means that we can use this pram with both the small and large car without having to plan which car the hubby takes to work and which he leaves with me. It also means the car seats get to remain mud free which would not have happened if I had chosen many of the other prams that were too bit for the MINI. When out and about I have found the pram to be slightly heavy when trying to get up curbs. Even when crossing at lowered curbs you have to lift the buggy up as the wheels don't really cope going up anything but very flat curbs. Is this a problem for the pram our our local council? This is when the baby is only 7lbs, not sure how bad it will be when she is two years old! It may be made worse as I have just had a c-section a couple of weeks ago but only time will tell. The biggest pain for me is that I, for some reason, often find myself hitting the pram's brake when turning corners or going up curbs meaning we are brought to an abrupt stop. On a walk this can become very irritating. I don't think I walk funny and with size 4 feet it is certainly not caused by big feet getting in the way. Sticking with the brake (did you see what I did there?) another issue I have found is that once the brake has been applied I often find it takes a few minutes to manage to take the brake off - very embarrassing when you feel people are watching you. I do not know what is causing this problem. I've tried using my foot and hands to take the brake off but it just doesn't seems to fully disengage and thus you are stuck until it eventually comes off. The shopping basket is huge - a selling point for me as I will be using it a lot to go shopping. It is much larger than many of the more expensive prams out there and can easily store my shopping and the weathershield (a cover that could fill so many other pram's shopping baskets). This can be a negative of positive - the folding of the buggy. If you are going to be taking the bus and you need to fold this down I think you would probably avoid using the bus. It is not hard but you need to use both hands to do it and you have to take off the carseat or pram to do so. If you are folding it to get into car or go home then there is no difficulty. For the price of this you really can not complain about how it operates and I am certainly do not regret buying it. I feel so proud walking my baby along the streets with this and we have used the car seat umpteen times already and it has been easy to put in and out of the car. It may look like there is a long list of negatives but they are outweighed by the positives and cost of the pram. If you are thinking about getting this then I would say go for it!